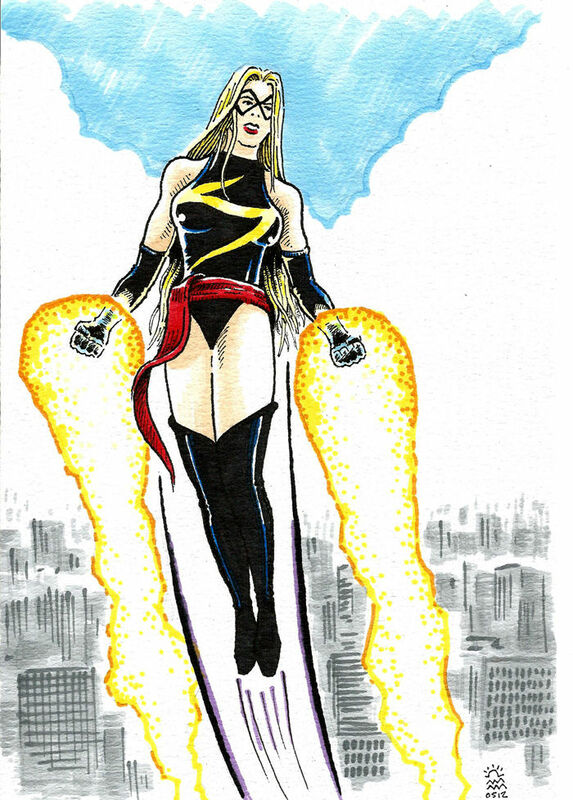 Ms. Marvel. Original hand drawn sketch. Size: A5 (Approx). Various marker pens on paper. Signed.